"We set the task to extract 20 bn cu m". Prime Minister Volodymyr Groysman said that the domestic production of natural gas by the national extraction company PJSC Ukrgazvydobuvannya is set to reach 15.2 bn cu m in 2017, a 4% increase over the previous year. 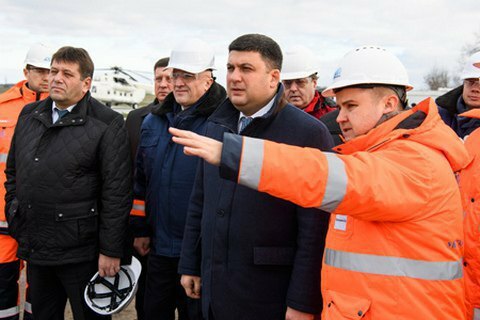 The Cabinet press service reported this upon Groysman's visits to Ukrhazvydobuvannia gas wells in Poltava Region on Thursday, 23 November. "By the end of this year we will extract 15.2 bn cu m, and set the task by 2020 to reach the extraction of 20 bn cu m," the press service quoted the prime minister. In 2016, Ukrgasdobycha increased production by 0.5%, or 77 mn cu m to 14,605 bn cu m over the previous year. The company is the largest gas producer in Ukraine. According to a Cabinet resolution it is obliged to sell all extract gas to Naftogaz for the needs of the population. Ukraine extracted 20.2 bn cu m of gas last year.